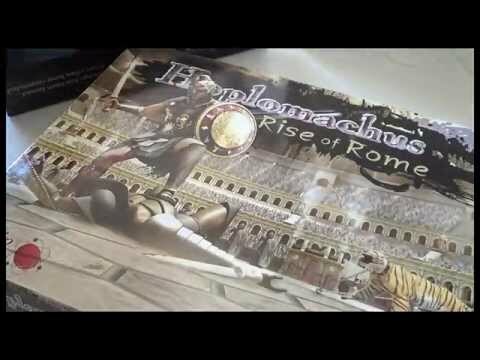 Hoplomachus: Rise of Rome társasjáték - Magyarország társasjáték keresője! A társasjáték érték! A Hoplomachus: Rise of Rome egy kiváló társasjáték, 1 - 2 játékos részére, az átlagos játékidő rövid, csak 30 perc. A társast, 12 éves kortól ajánljuk kipróbálni. Kooperatív jellegű, a játékmenet erősen épít a pakli tervezés, a terület foglalás, a kockadobás és a pakli építés mechanizmusokra. 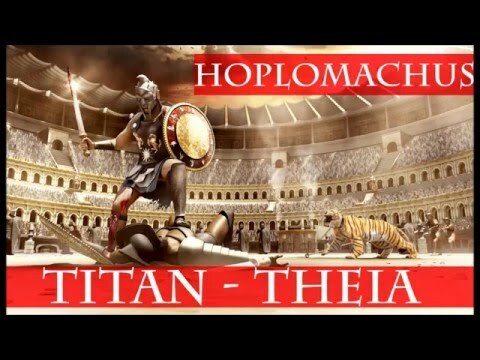 Hoplomachus [ha-ploh-ma-kuss], or "Hoplo" for short, is a hex-based tactical board game set inside a gladiatorial arena. One to three players, each representing an ancient city/civilization thought to have been lost to the world, are now on Rome's doorstep vying for a place in the prestigious arena games. Players have a very clear objective: Eliminate the opponent's champion. Champions start the game in the arena but are inactive and defenseless. They will not fight until the crowd is behind them. 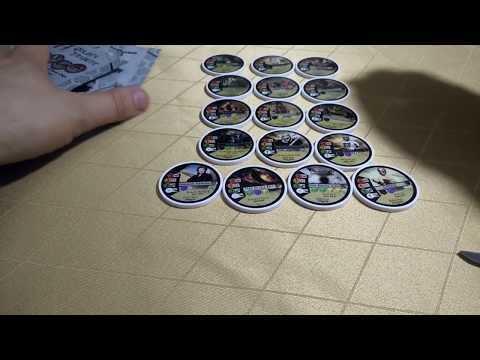 Each player takes turns drawing, playing and moving gladiators from their "hand" and assisting them with tactic chips. Based on opponent's moves and play style, each person will need to adjust their strategies. Defend your champ, take over and hold the crowd favor areas, assault opponent's champion, cover deployment zones, eliminate tacticians to reduce enemy options, fight beasts to gain crowd favor, the list of tactical possibilities is endless. Hoplomachus combines combat, tactics, chip (units) management, level progression (though crowd favor system), team play, player vs board, and so much more.